Dean has had extensive involvement with the Tulsa area community and beyond including the Tulsa Area United Way Board of Directors; Chairman of the State of Oklahoma Economic Development Board, Chairman of the State of Oklahoma University Hospitals Authority, University of Oklahoma College of Arts & Sciences Board of Visitors, The Tulsa Ballet Executive Committee, the Episcopal Theological Seminary of the Southwest, Austin, Texas, Executive Committee and Board of Trustees, the Oklahoma Center for Community Justice Executive Committee, and Natureworks Board of Directors. Dean has been active as a teacher and lecturer both locally and nationally. 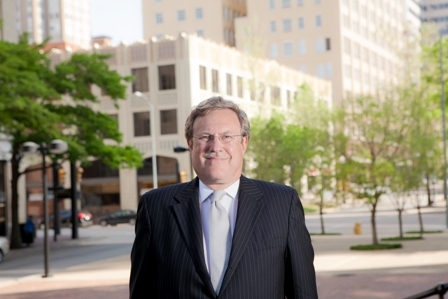 He became an Adjunct Full Professor of Law at the University of Tulsa in 1984. Obtained $90 million cash in arbitration for energy, marketing and trading company from a national electric utility. Obtained Writ of Certiorari and orally argued tax case for Indian Tribes before U.S. Supreme Court. Successfully represented and settled for a Big 5 accounting firm defendant in multiple securities fraud class actions. Obtained on behalf of the Legislature only the second writ of prohibition in history against a sitting governor from Oklahoma Supreme Court. Obtained injunction, upheld on appeal, for Indian Gaming Manufacturers against U.S. Attorney General, Department of Justice and National Indian Gaming Commission prohibiting enforcement of civil and criminal gaming laws. Obtained summary judgment in favor of a national church, resolving the question of ownership of the local church property resulting from the local church’s departure from the national denomination. Argued before the Court of Appeal of the State of California and obtained a unanimous opinion for publication denying a petition for mandamus seeking production pursuant to subpoena in that civil case of attorney work product privileged material previously produced by our client to federal investigators. In a nationwide appellate case of first impression, the court held that the federal government’s threat of potential indictment if the privileged materials were not produced constituted coercion which prevented the production, constituting a waiver of the privilege. Obtained, as co-lead counsel, summary judgment in favor a national energy company defeating securities claims in a certified class action. Successfully led team which obtained withdrawal of proposed federal Indian Gaming regulations that would have destroyed Class II Gaming nationwide. Obtained as Lead Counsel, a summary judgment for a national energy company in a multi-district class action anti-trust case concerning energy pricing.